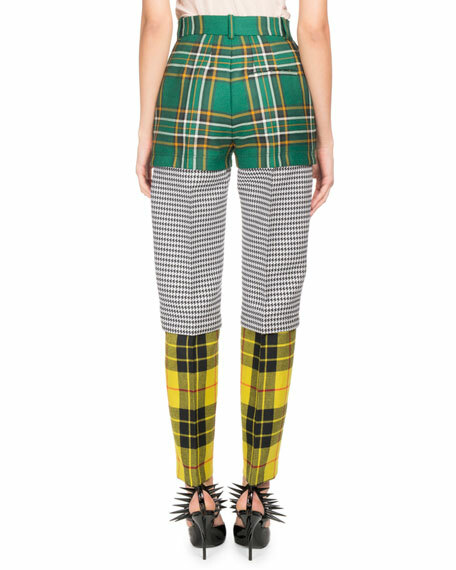 Balenciaga pants in houndstooth and tartan. Tailored fit through straight legs. For in-store inquiries, use sku #2490087. Brioni pants in heathered weave. Quarter top pockets; back button-welt pockets. Flat front. Straight, relaxed legs. Front zip; elastic waistband. Linen. Made in Italy. 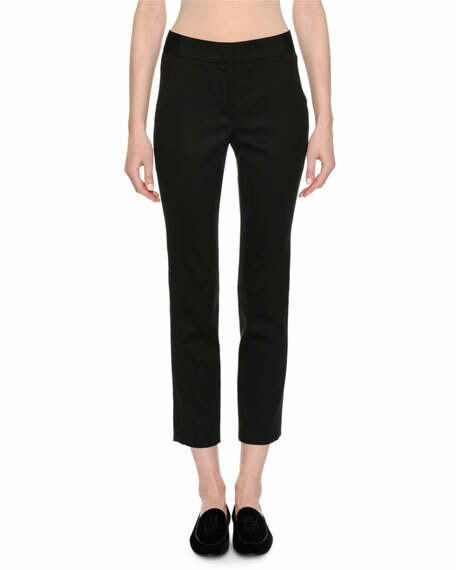 Giorgio Armani classic stretch-wool pants. Back welt pockets. Straight, slim legs. Hems cropped above the ankle. Tab/zip front. Main fabric, virgin wool/spandex. Secondary fabric, polyester/nylon/spandex. Made in Italy. No. 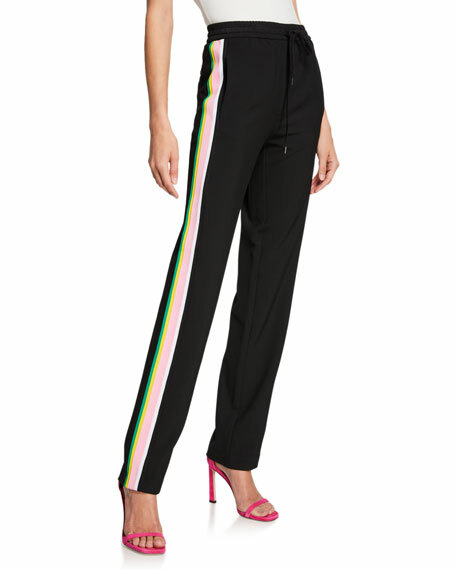 21 pants with multicolor striped sides. Elasticized drawstring waistband. Side seam pockets. Straight legs. Full-length hem. Pull-on style. Acetate/rayon. Dry clean. Made in Romania.